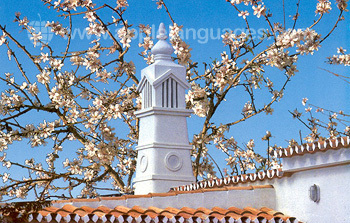 Our school in Faro is an ideal place to learn to speak Portuguese. 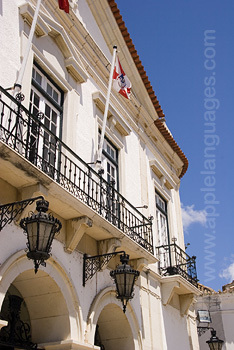 While learning to speak Portuguese at our school, located close to the beach, you can enjoy the history and Portuguese culture of this coastal town. With so much of historic interest, such good food and so many excellent beaches close by, anybody learning to speak Portuguese at our school will find something to see and do, whatever your interests. Our Portuguese school in Faro organises excursions and activities for all students learning Portuguese at the school, helping them to combine their Portuguese language course with the chance to learn about Portuguese culture, as well as providing them with extra opportunities to speak Portuguese. 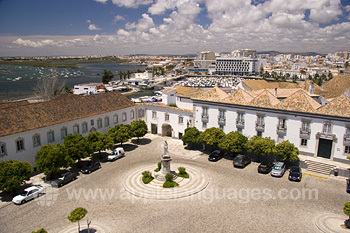 At our Faro school you will not only learn to speak Portuguese, but will also enjoy learning the language in such a beautiful historic port town. 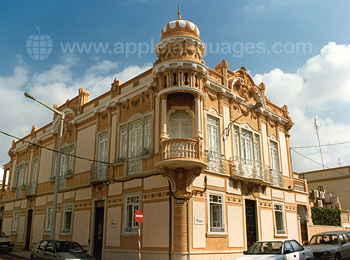 Our Portuguese language school in Faro, Portugal, is located in an attractive, historic building in the centre of this port town. The school has 6 well-equipped classrooms, as well as a large patio and Internet café, with free Internet access. At our Faro school, you can learn Portuguese on a ‘Semi-Intensive’ Portuguese course (15 lessons/week), or on a ‘Super Intensive’ Portuguese course (25 lessons/week). Or, you can choose a ‘Combined’ Portuguese course, which is a combination of the ‘Standard’ course plus 5 or 10 private Portuguese lessons/week. The maximum class size at our Faro school is just 8 students per class (except at Easter and in August), providing lots of personal attention to each and every student. In addition to Portuguese language courses, our school in Faro also offers a Portuguese Gastronomy course. Our Faro school can arrange accommodation in carefully selected Portuguese host families, where students can really immerse themselves in the language, lifestyle and culture of Portugal, as well as speak with their family the Portuguese that they learn on their course at the school. 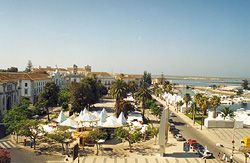 Make the most of your time in Faro by participating in the school’s optional activities programme! Visit museums, monuments and other local places of interest and enjoy typical Portuguese dinners! You will be encouraged to practice your Portuguese at all times, so that you continue to increase your confidence in using the language in every day situations! Our Faro school can arrange airport transfers from Faro Airport, if you would prefer to be met on arrival and taken to your accommodation. Average score for our school in Faro based on 26 previous client reviews. I already knew a bit of Portuguese but with two weeks of the super intensive course all the pieces of knowledge combined. The teachers are really really nice and open. I enjoyed going there. Consequent and patient teacher with good declaration Intodrucing not only the language but the Country and People too Very friendly and helpful , creating a pleasant atmoshere Extremely nice guide in the afternoon programs. I would be happy to come again. Very friendly and Open-mind hosts without being intrusive. The best I could Hope for: excellent conditions in aspect to room and bathroom - best Hygiene. The teachers were very friendly! The acomodation in itself was good (clean, spacious, well equipied) but it was far from the school (20 minutes walking), from the town center. Good teacher and I learnt alot during the month. The best course I have ever had. Great teachers in terms skill and humor, and lovely office lady. Very good homestay. Close to school, hospitable host and good accommodation. 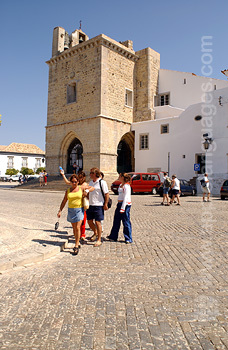 Faro might be a very good place for study. Small town but still lots to enjoy so I didnt get bored.Convinient transport to all coast cities and Seville. 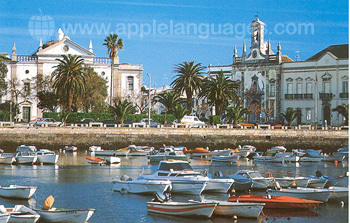 Very nice local people who always smile and respond in portugues if you want to practise your portuguese with them. Teacher was excellent. After 2 weeks learning Portuguese, we're able to write Portuguese and to speak. That's great ! The location of the class was excellent in an old style building which added to the character of the course. The teaching and admin staff could not have been more helpful or interested and really strived to make the week as productive as possible. The course moved along at a good pace of learning and there were contiunal checks to see that learning had taken place. The short morning break was welcome and allowed further informal chat with the tutor (in Portuguese) and with the other students. The morning lessons seemed to fly by which is an indication of how interesting they were. I also had a one to one lesson afterwards and this allowed me to cover topics that I wanted to and it was during this time that the language began to drop into place and I would certainly recommend this to anyone as an additional option to extend the learning. 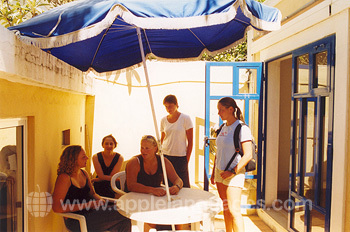 The teachers were above my expectations and I developed a great foundation to learn Portuguese. It's an excellent program. The accommodation was basic but good, we came and went as we pleased and the hostesses were very kind. The teacher did a great job and made the course interesting and very useful. My accommodation was good, very clean, the staff were great and very discreet. Despite needing to accommodate a range of abilities, even within a group 'moderated' by the initial test, the teachers provided a thoroughly professional course. The group-work was always interesting; whilst the 'one-to-one' work was highly stimulating and enjoyable. The diversity of our group(s) during the two weeks ensured a wide range of social experiences to be shared - and enjoyed - between the participants. The teachers were extremely friendly and helpful, which created a very positive working atmosphere. The standard of teaching was very high and they were happy to spend time explaining in depth some of the more difficult aspects of the language, in order that we might understand clearly. I stayed in a private home whilst completing the course. 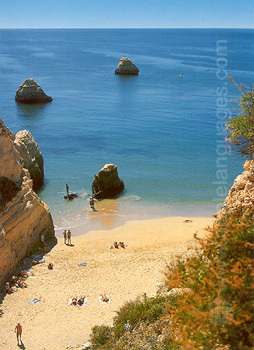 My host was very welcoming and friendly, and she helped with practising spoken Portuguese. I was really pleased with my accomodation. The course was well designed to meet my specific need to improve my speaking skills. The mixture of formal study using the book and one to one discussions on a variety of subjects was very helpful.The style was more informal than a previous course I had been on, and I especially liked the way we joined the staff and other students at a local cafe at mid morning break.